Ralph Lauren Automotive Skeleton Steel 45mm steel bracelet watch. 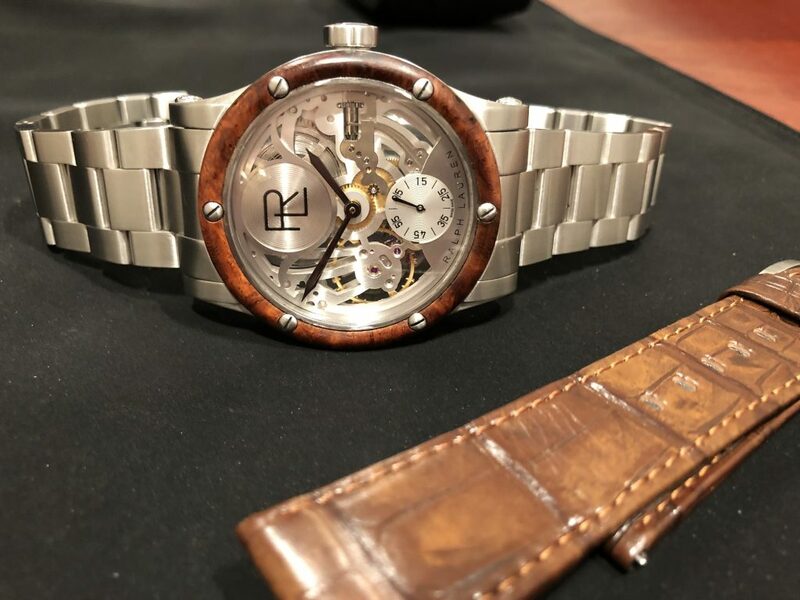 This past weekend at the Watches and Wonders Miami Show, Ralph Lauren unveiled a stunning new steel watch to its Automotive Collection: Automotive 45mm Skeleton Steel. Boasting a steel bracelet, the 44.8 mm watch is both industrial and sophisticated, as it builds on all of the traditions of Ralph Lauren Automotive watches, including auto-inspired details, meticulous craftsmanship and fine Swiss watchmaking. The Ralph Lauren Automotive Skeleton 45mm Steel Bracelet watch features screws meant to look like the rivets of one of Ralph Lauren’s race cars. 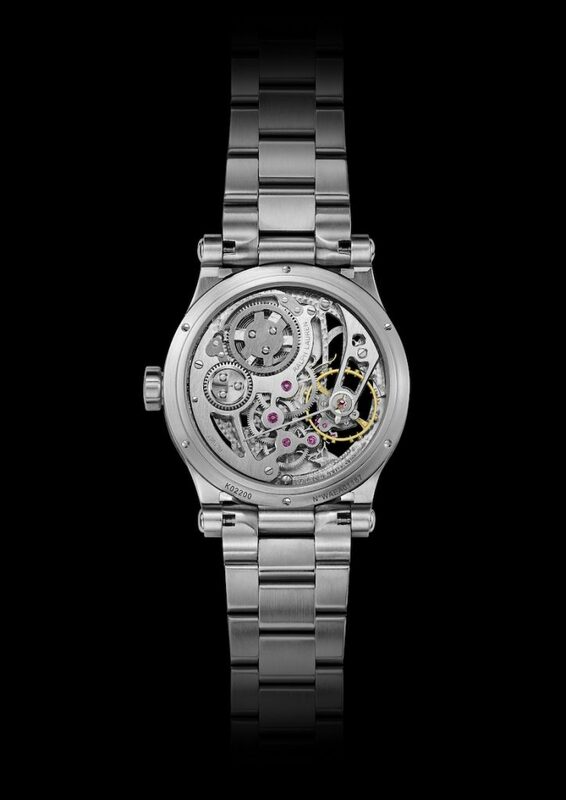 This newest Ralph Lauren Automotive 45mm Skeleton Steel, Ref. 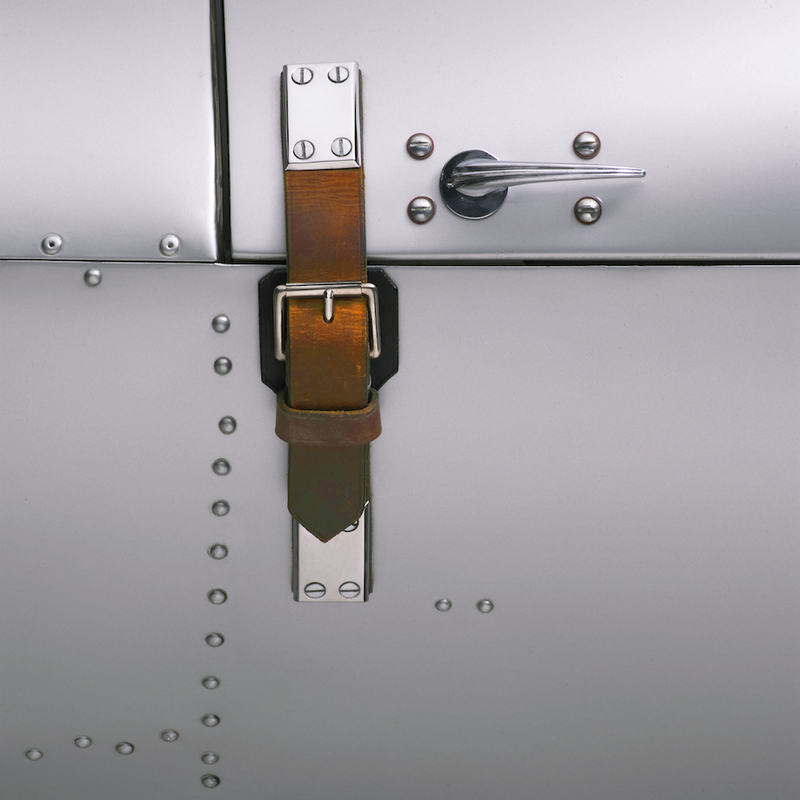 RLR0220004, reflects all of the beauty of the Automotive collection, but also boasts a nice combination of polished and brushed steel components, including polished screws that recall the rivets that secure the chassis of a car. This nuance directly reflects one of Mr. Lauren’s prized 1950s race cars. The intricate design continues in the dial of the watch, which is predominantly the finely skeletonized movement. However, there is a subtle brushed silver subdial at 6 o’clock to indicate the seconds, and the hours and minutes are indicated via shiny, black, sword-shaped hands. 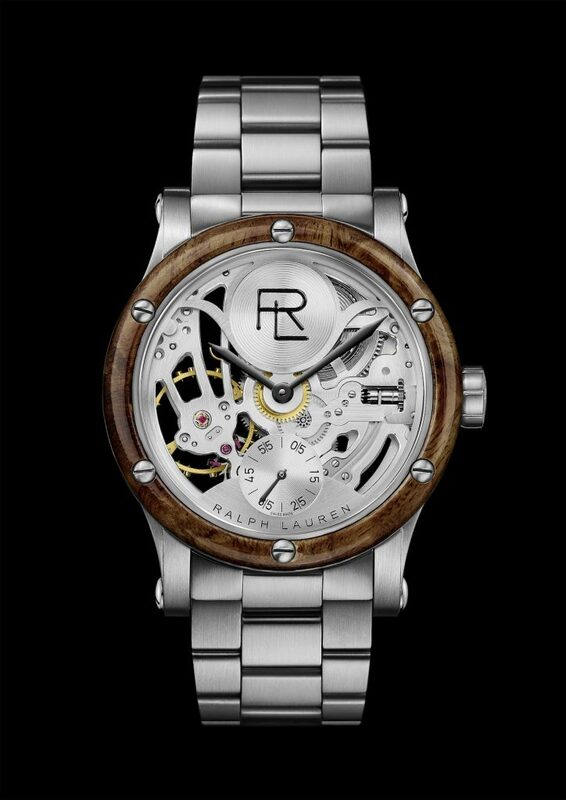 Surrounding the Ralph Lauren Automotive Skeleton 45mm Steel Bracelet watch features a “bombé”-shaped made of amboyna burl wood and reinforced with handset screws. 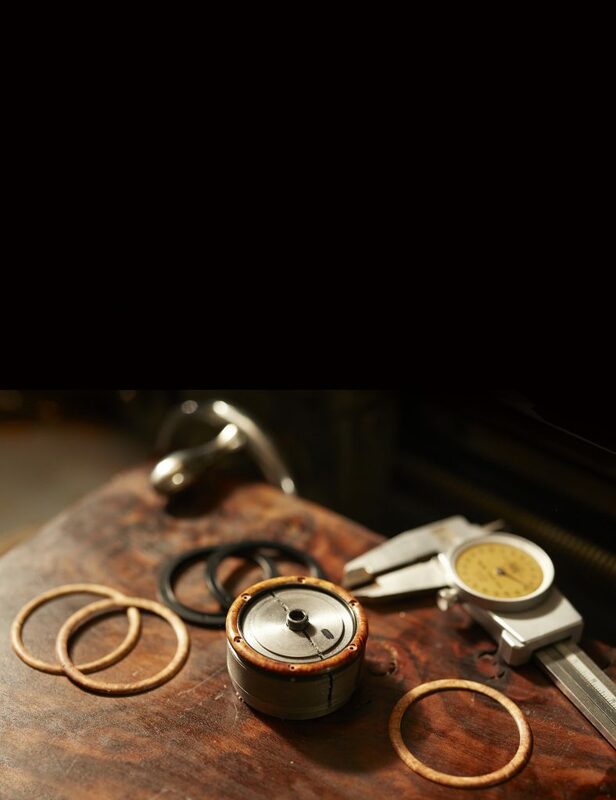 Surrounding the timepiece is a “bombé”-shaped made of amboyna burl wood and reinforced with handset screws. 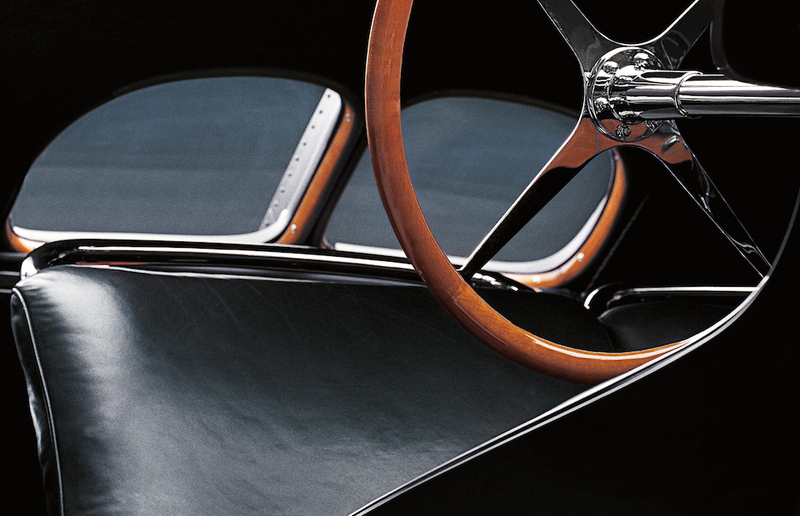 Amboyna burl is a unique hardwood used in Ralph Lauren’s own 1938 Bugatti Type 57SC Atlantic Coupe which requires hand finishing to expose its rich, swirling grain patterns. In a move towards further versatility, the Ralph Lauren Automotive Steel is delivered with two interchangeable bracelets, a stainless steel bracelet and a brown alligator strap. 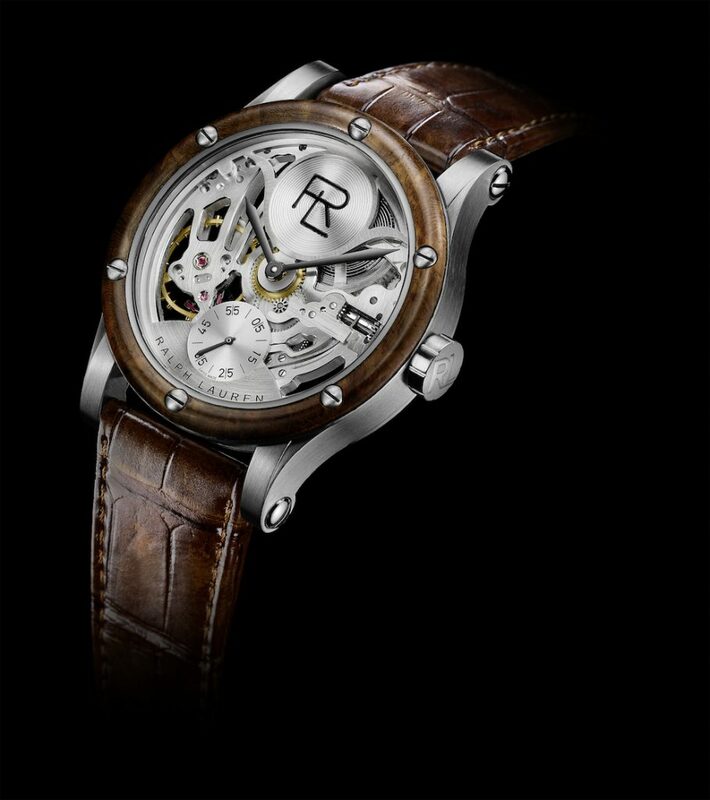 Amboyna burl used in Ralph Lauren’s own 1938 Bugatti Type 57SC Atlantic Coupe is the wood of choice for the bezel on the Ralph Lauren Automotive Skeleton Steel 45mm watch. Powered by a Swiss-made F.A. Jones mechanical movement by IWC, the caliber is customized by Val Fleurier, and decorated with vertical Côtes de Genève stripes, perlage circular graining, and an interlocking RL logo over a brushed steel plate at 12 o’clock. The manually wound caliber RL1967 runs at a frequency of 18,000 vibrations per hour and offers 45 hours of power reserve. Ralph Lauren Automotive 45mm Skeleton Stainless Steel Bracelet watch, Ref. RLR0220004, on interchangeable alligator strap. I have long been a lover of the Ralph Lauren Automotive Collection, as well as the Safari collection. Similarly, I think skeleton watches have a lot to offer the wearer. By bringing the skeletonize movement to the forefront and then offsetting the look of the Ralph Lauren Automotive 45mm Skeleton Steel watch with a steel bracelet — the entire look and feel of the watch — changes. This is the first time the Automotive collection has a steel bracelet. It is not a dangerous proposition, though, because the watch is offered with a gator strap and the two can be easily changed by the wearer. The watch retails for $34,200. The manually wound caliber RL1967 powers the new Ralph Lauren Automotive Skeleton 45mm Steel Bracelet watch.